If you get graphics device driver code 14 error, don’t worry. This is one of the common device manager code errors. You can follow through the instructions in this post to fix this issue. Code 14 indicates that the driver for the graphics card requires overwriting files. It can be due to corrupted or poorly installed graphics drivers. As you can see from the full error message, you need to restart your computer to make the device work again. So just simply click the Restart Computer button to resolve the problem. If you’ve done this, but the issue still persists, try the following two methods. 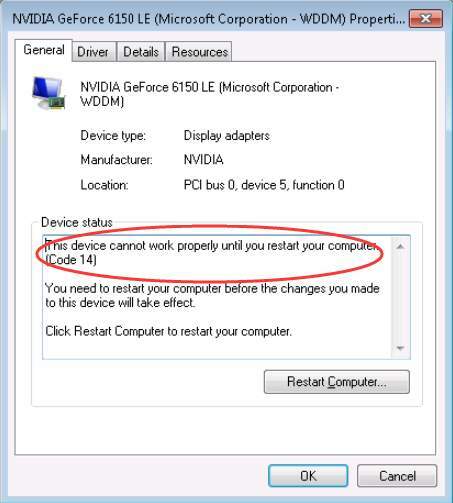 This device cannot work properly until you restart your computer (Code 14). 1) Open the driver Properties window, go to the Driver tab. 2) Click the Uninstall Device button. 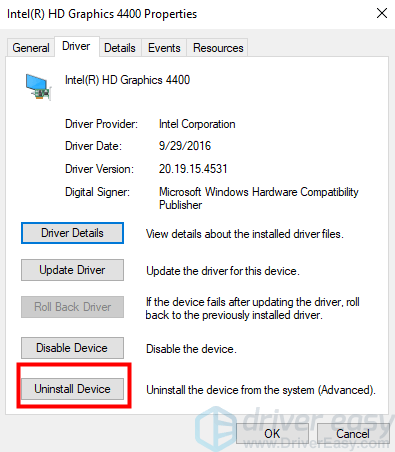 3) Check Delete the driver software for this device, then click Uninstall. If you don’t see this, simply click Uninstall. 4) When asked to restart your computer now, click Yes to restart your computer. 5) Check to see if the problem is resolved. If Method 1 doesn’t work for you, try to update the driver. 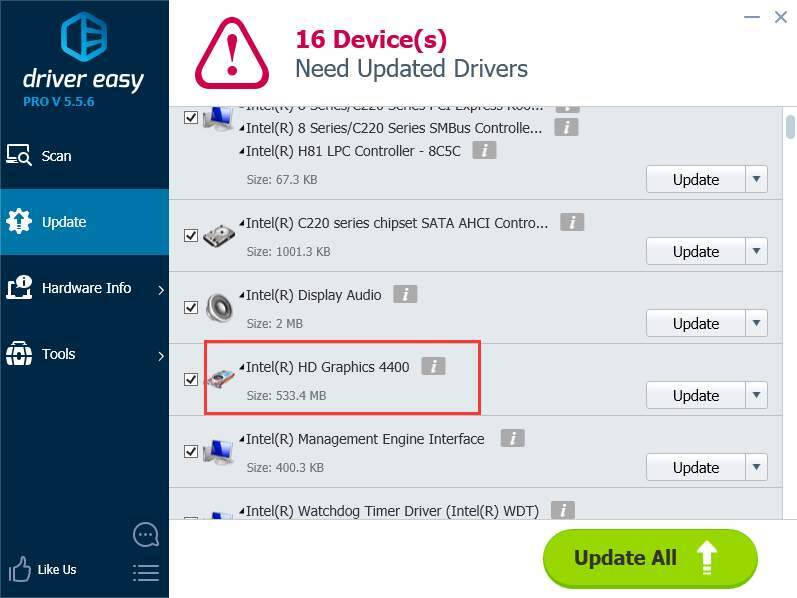 If you don’t have time, patience or computer skills to update the driver manually, you can use Driver Easy to do it automatically. 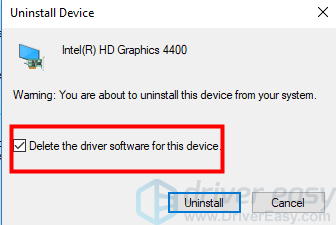 3) Click the Update button next to a flagged graphics device driver (In my case, it’s Intel(R) HD Graphics 4400 to automatically download and install the correct version of this driver (you can do this with the FREE version). Or click Update All to automatically download and install the correct version of all the drivers that are missing or out of date on your system (this requires the Pro version – you’ll be prompted to upgrade when you click Update All). 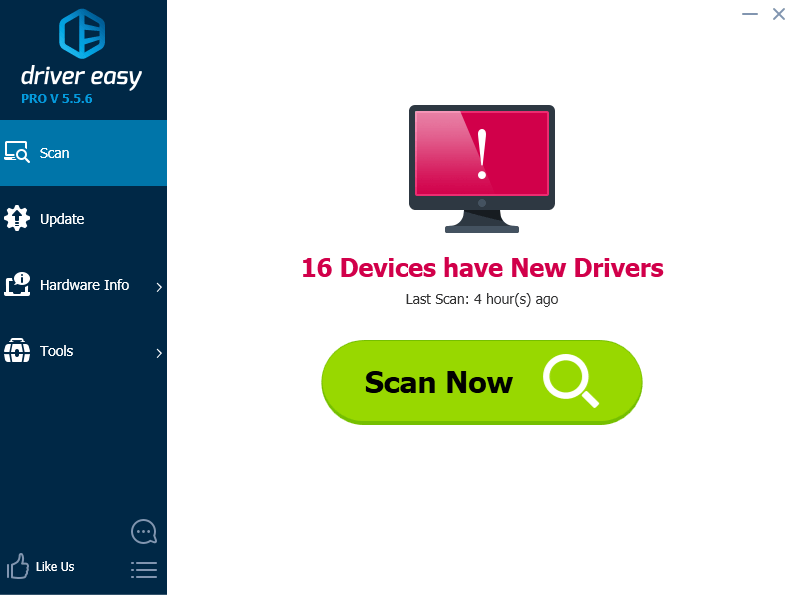 TIP: If you used Driver Easy and the problem is not resolved, please feel free to contact our support team for further assistance. 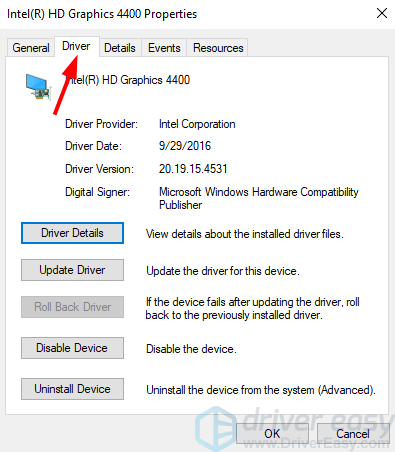 Hope the methods above help you resolve the graphics device driver error code 14 issue. If you have any questions, please comment below as we’re happy to hear of any ideas.